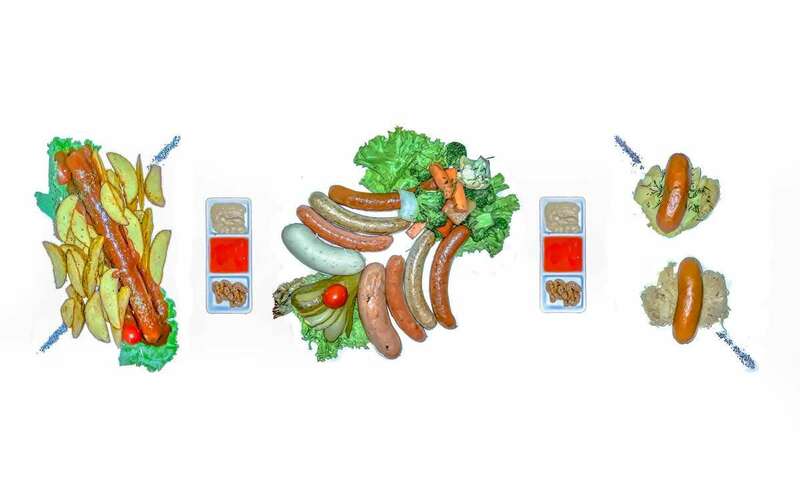 Have you tried all the different kinds of German sausages? 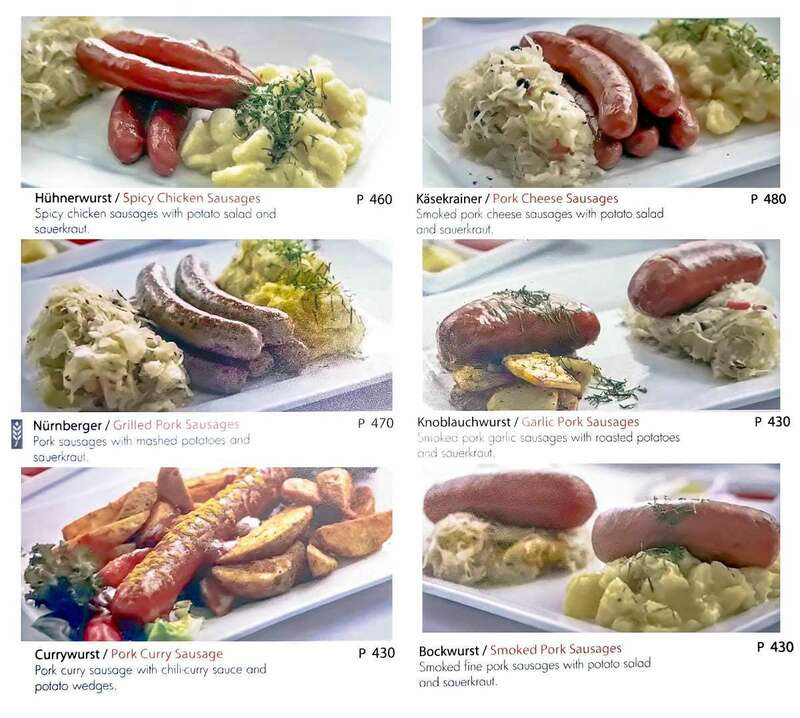 For authentic German sausages, I recommend you visit Brotzeit and experience all seven of their sausages. 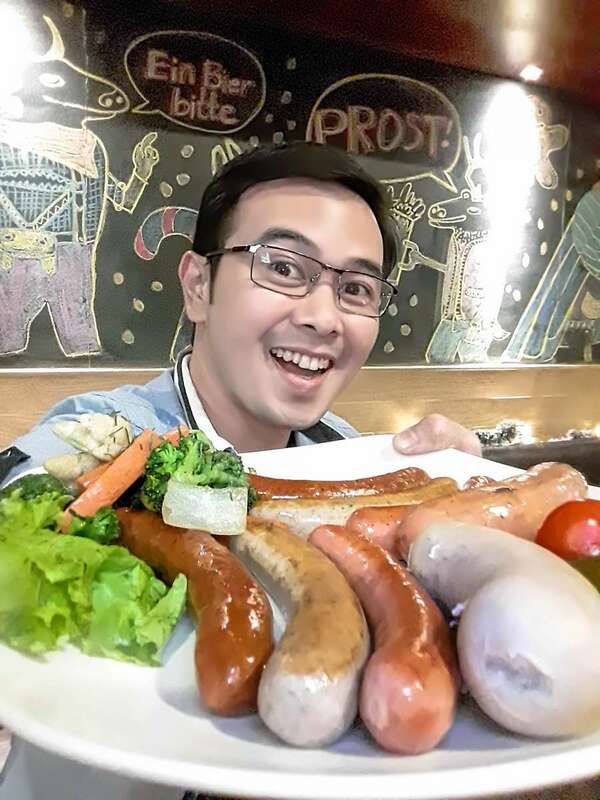 I wanted the genuine German experience and at Brotzeit, I got the real deal. Their sausages make use of fresh spices and you won’t get that taste of extenders. They’re all juicy and smooth. They’re not dry and they’re not grainy. 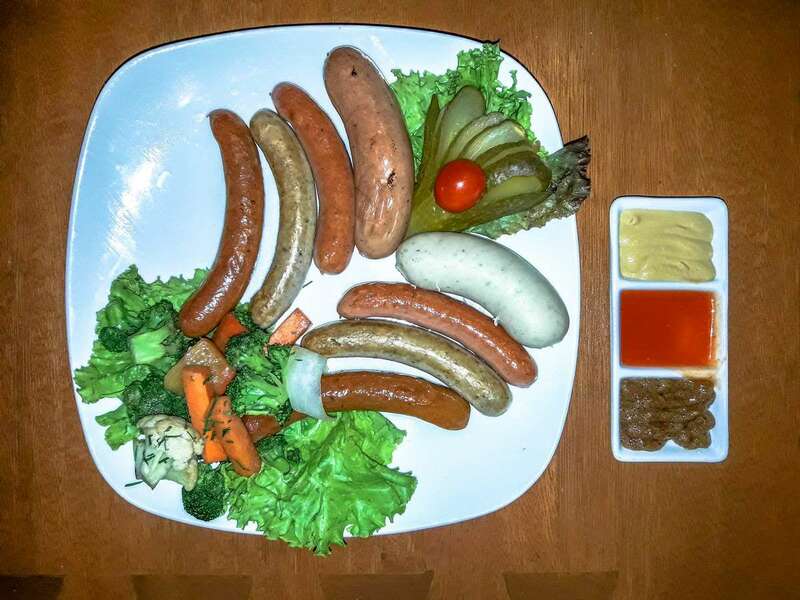 Authentic German sausage platter with spicy chicken sausages, grilled pork sausage, pork cheese sausage, garlic pork sausage, and veal with two side dishes. This is served with three sauces: hot mustard, chili sauce, and sweet mustard. 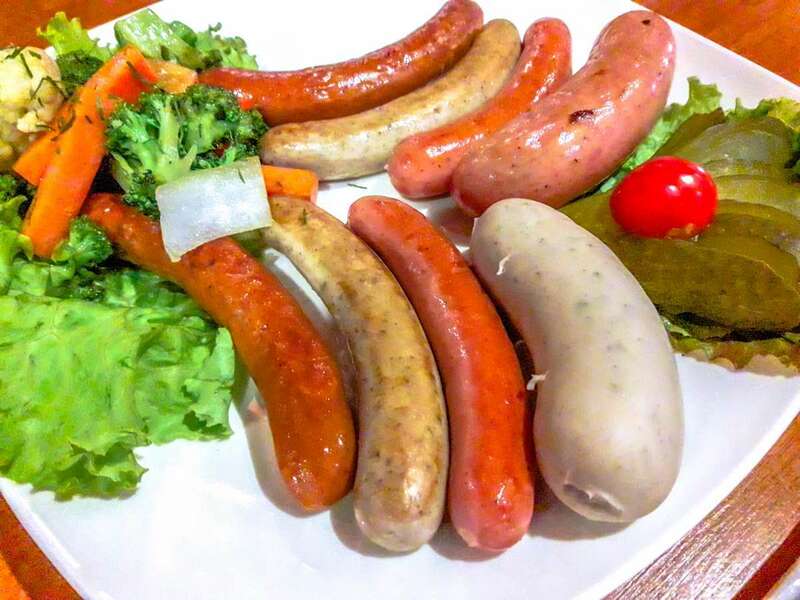 Among the seven sausages, this is my most favorite. 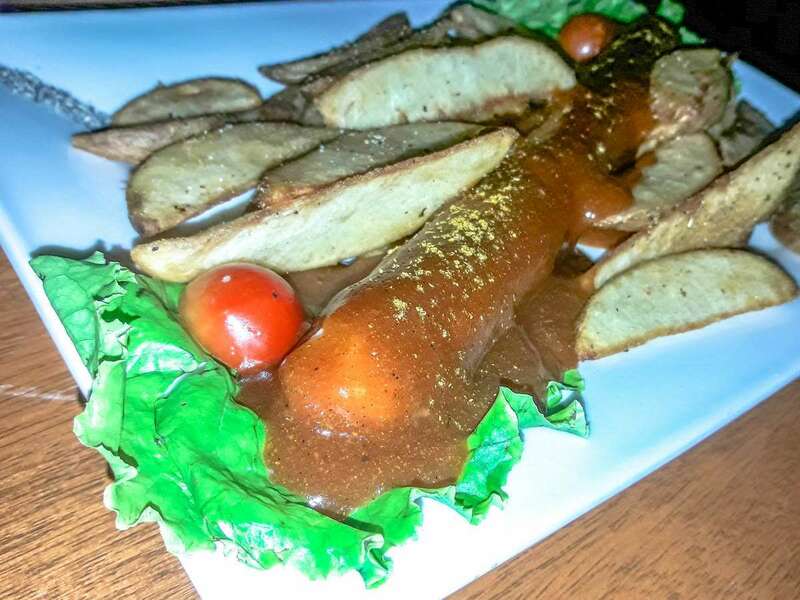 It’s pork curry sausage with chili-curry sauce and potato wedges. It’s the first time I had sausage with curry sauce. It’s delicious. This is served in German festivals. It’s not the Asian curry Filipinos are used to. The sausage is grilled and has roasted paprika in it. It’s bathed in curry sauce made of tomato, cayenne, curry, and pressed chili. 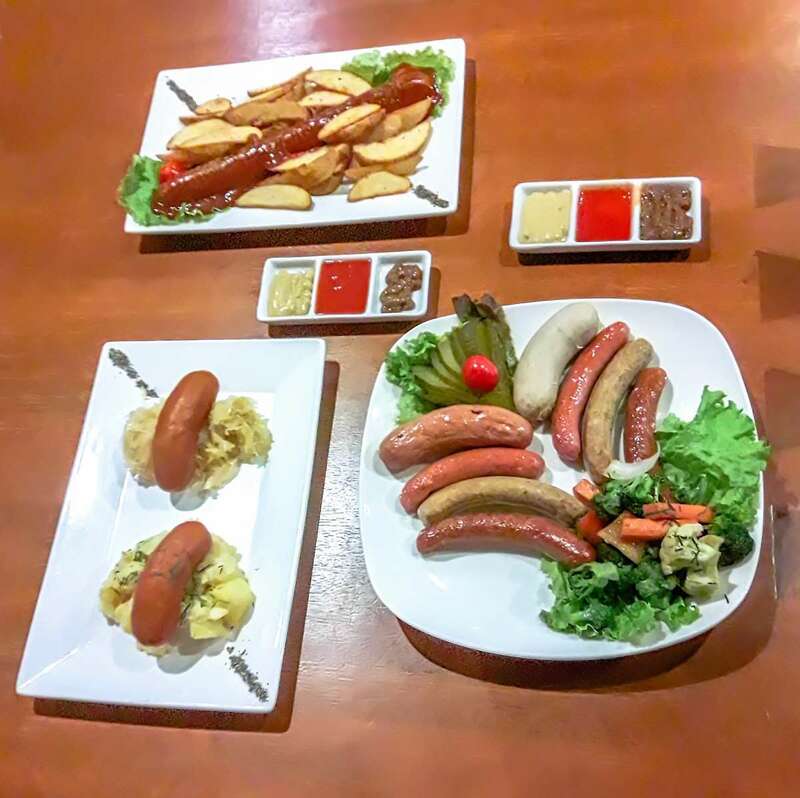 This is smoked pork cheese sausages with potato salad and sauerkraut. This is my second most favorite sausage in Brotzeit. I love the smoky flavor of the meat blending with the Gouda cheese, and Brotzeit’s signature spices. Gouda cheese is creamy and mild in flavor, but the taste gets stronger with aged Gouda cheese. It is named after the city of Gouda in the Netherlands. It’s smoked fine pork sausages with potato salad and sauerkraut.The pork is smoked for three days and you can taste that with every bite! This is smoked pork garlic sausages with roasted potatoes and sauerkraut. Fresh garlic is used, mixed with the meat and signature spices, all smoked together to perfection. 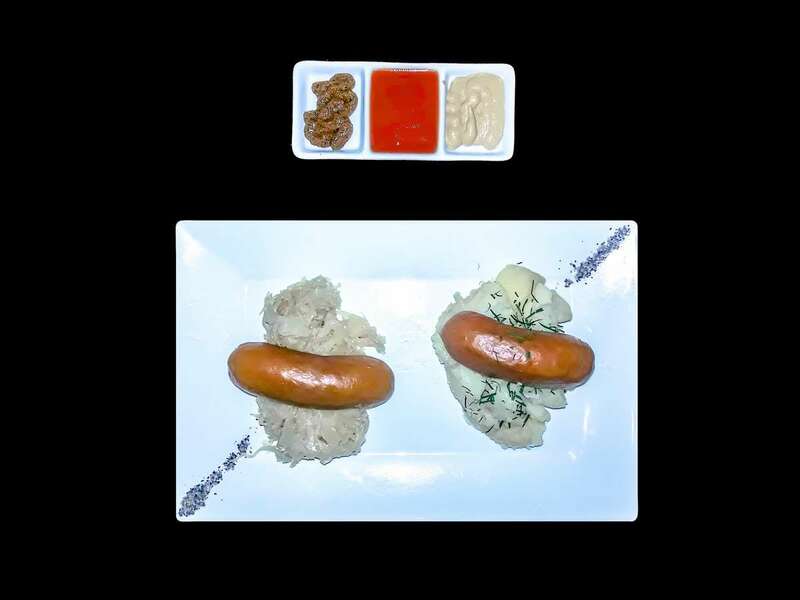 This dish is made of pork sausages with mashed potatoes and sauerkraut. The sausages here are not smoked. They’re cured with different spices then grilled after. It’s spicy chicken sausages with potato salad and sauerkraut. This is smoked chicken with chili and paprika. This is included in the sausage platter. Veal uses meat from calves, in contrast to beef from cows. This steamed sausage made of veal, parsley, thyme, and rosemary, is often eaten for breakfast by Germans. 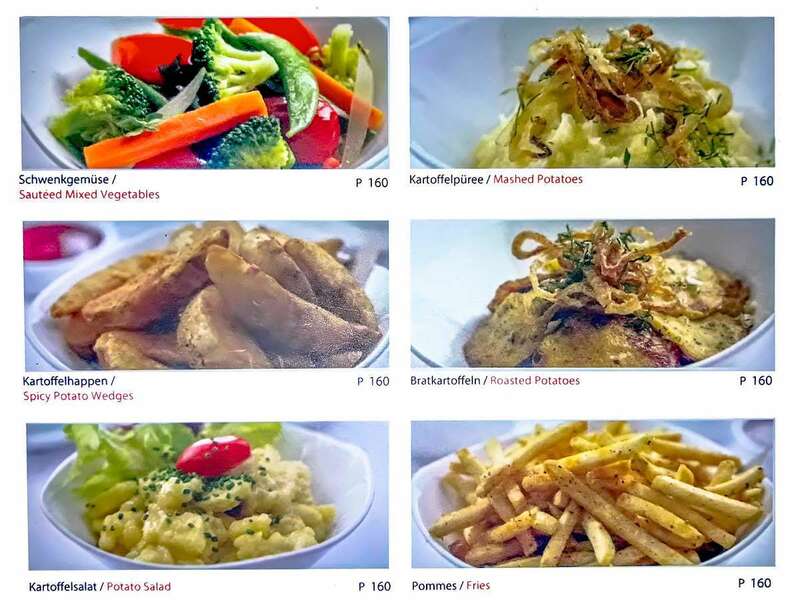 You may request from the staff, if it’s possible, to have the side dishes replaced and choose from the list in the menu. But I recommend you keep the sauerkraut (fermented cabbage) because they serve the best sauerkraut I’ve tried. If you want more sides, you can order extra.